You know how sometimes finding a hostess gift can be such a chore? That's how I feel sometimes when I am pressured to come up with something for a friend who invites us to their home. We often end up bringing a bottle of wine or some yummy specially ordered dessert. But food & wine, they don't really last long enough to make an impression. The fun in it can be fleeting, if not forgettable. 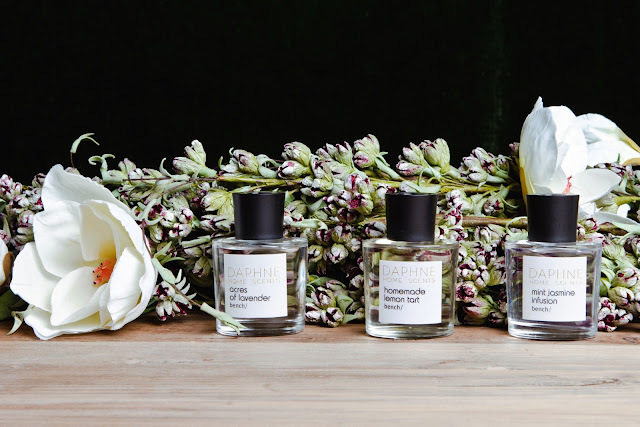 That's why when Daphne Osena-Paez launched her line of home scents at Dimensione on Bonifacio High Street, I knew I found myself a winner. Because scents don't just linger, they leave memories too. The scents, which come in lavender, mint jasmine and homemade lemon tart simply smell divine, are prettily packaged (reminds me of Jo Malone scents, in that simple but striking clear glass bottle with a black cap) and are special and thoughtful enough to give to hosts as gifts for housewarmings, play dates, or as a little something extra during pot lucks. I think these make great presents for our children's teachers and tutors too, or for colleagues at work! While you can never really go wrong with any of these three scents "or flavors" as Berry calls it, if you are worried about choosing the right scent as a present, my suggestion is - simply get all three! At Php348 a bottle, you've got something that will surely please, at just a little over Php1000. Meanwhile, for all of us especially, who read Daphne's blog, you may be well aware that she started her eponymous furniture line sometime back. Her first piece, which also debuted at Dimensione, is a range of chairs fashioned from farmed mahogany wood. Considered her signature piece, the Daphne chair is "whimsical yet rooted in practicality". 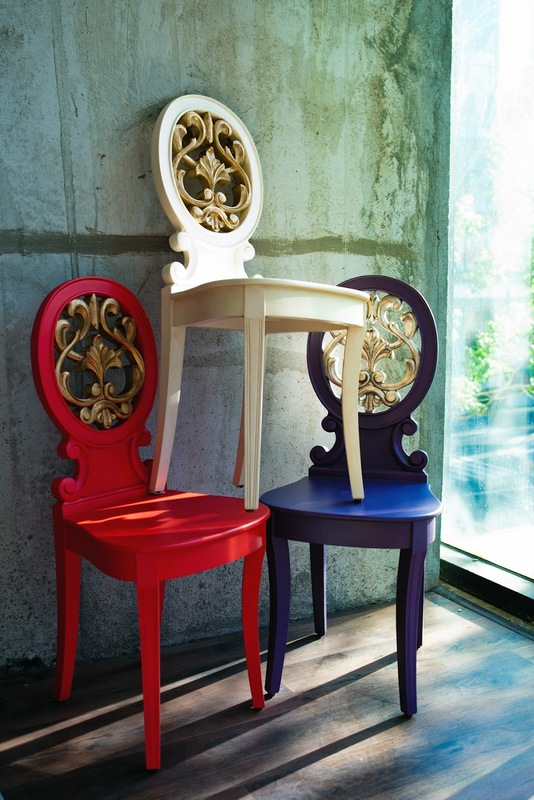 Apart from the red, white and blue you see above, the Daphne chair comes in an array of ice cream colors, like yellow, pink and lavender, as well basic black. 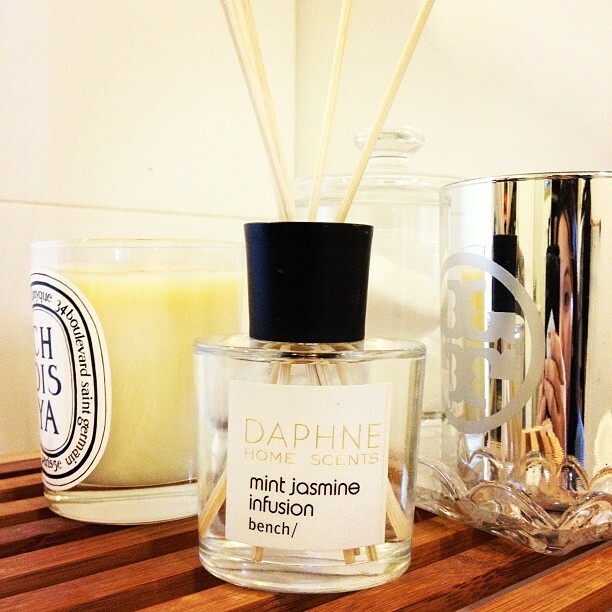 Daphne Home Scents retail at Php348 each and are available at Dimensione stores and selected Bench stores nationwide. Daphne chairs are available at Dimensione. They scents smell wonderful. Genius idea.